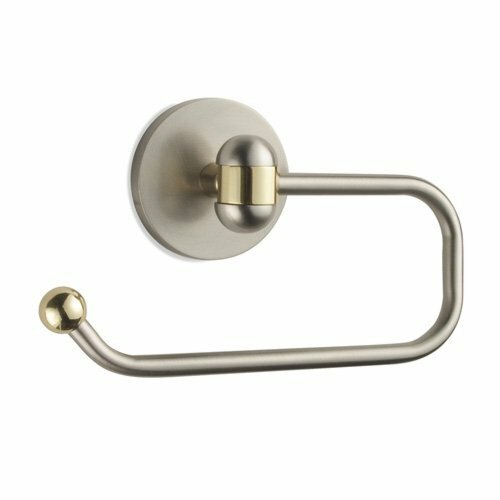 An open, C-hook design makes the Allied Brass Tango European Style Toilet Paper Holder a convenient way to dispense toilet tissue in your bathroom. 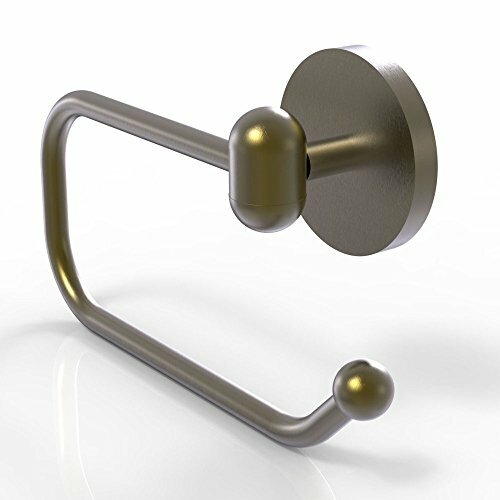 You can simply slip the rolls over the upturned ball-capped end of the solid brass holder without having to deal with spring-mounted rollers. Dimensions: 8L x 5W x 5H in.. Constructed of fine solid brass. Your choice of finish. Pairs well with Brass Tango Collection. Includes a limited lifetime warranty.